Posted on August 10, 2018 at 2:51 pm. 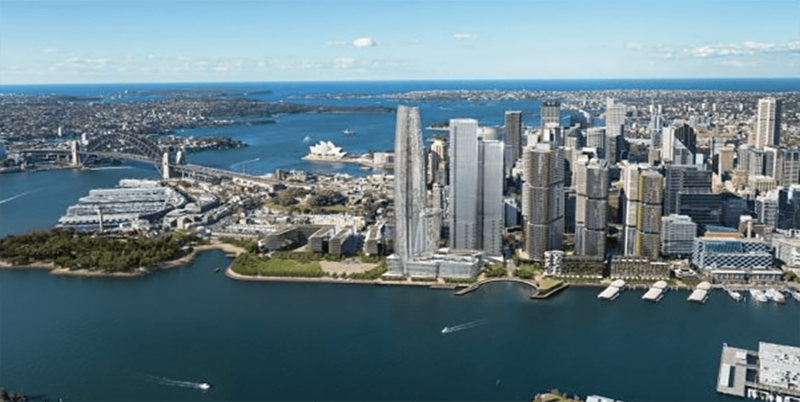 Crown Resorts has filed a Supreme Court suit against the Barangaroo Delivery Authority (BDA) over claims that its new development could potentially block the harbour view of its casino. The company is going to court to prevent the BDA from undertaking the development that could potentially block the views of the Sydney Harbour Bridge and Opera House from its under-construction waterfront resort, comprising a VIP casino. “The proceedings seek injunctive relief and declarations against the BDA that, in substance, require the BDA to comply with a number of its contractual obligations under the Crown Development Agreement,” Crown said, in a statement to the ASX. “These obligations including consulting with Crown about any application for the proposed development of Central Barangaroo that differs from that provided for in the relevant Concept Plan for Central Barangaroo in existence at the time the CDA was entered into. Crown’s waterfront project constructed at the cost of $2.2 billion is expected to open in 2021. The NSW Planning Assessment Commission in 2016 gave its approval for the construction of the project after some years of deliberations on its location and design. The NSW Government has declined any comment on the suit. In 2013, the then premier Barry O’Farrell gave initial government support to the site to host Sydney’s second casino. O’Farrell at the time said the project when completed would be restricted to high rollers and would not house poker machines. A spokesperson for the BDA in a statement said the authority has for the past two years been in discussion with the Crown about views. “The Barangaroo Delivery Authority, acting on behalf of the NSW Government, has been negotiating with Crown and Lendlease about their sightlines over Central Barangaroo for 28 months,” the spokesperson said.